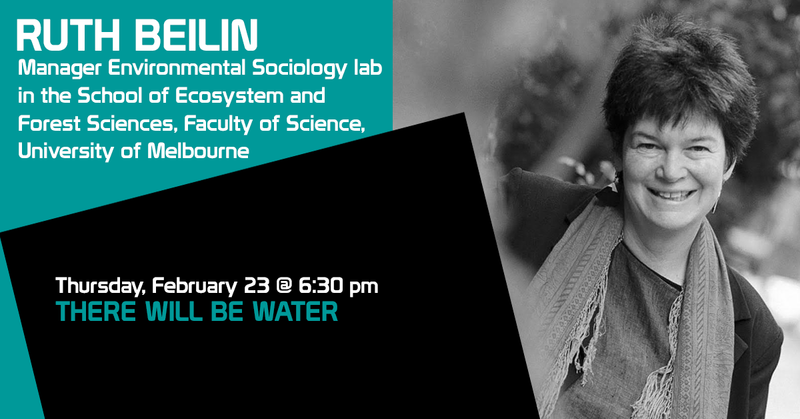 Professor Ruth Beilin leads the Environmental Sociology lab in the School of Ecosystem and Forest Sciences, Faculty of Science, University of Melbourne. Ruth’s background is in horticulture and environmental biology and her PhD is in social science. She has 30 years in community based resource management, working with communities across international and domestic locations. Ruth’s research focuses on how people live in the landscape:—how they shape it, how it shapes them, and what power they feel to make decisions with regard to production and conservation, land and water management. Ruth is particularly concerned with the rise of rhetoric around securitisation, and the increasing privatisation of water and food supply chains, as well as responses to climate change that centre on technological lock-in.